Williamyi Wang, Kristopher A. Darling, Yi Wang, Shunli Shang, Laszlo J. Kecskes*, Xidong Hui, Zikui Liu*, Power law scaled hardness of Mn strengthened Al-Mn non-equilibrium solid solutions, Scripta Materialia, 2016, 120:31-36. 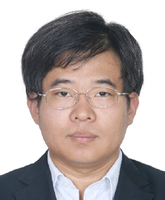 Williamyi Wang*, Jiajia Han, Huazhi Fang, Jiong Wang, Yongfeng Liang, Shunli Shang, Yi Wang, Xiongjun Liu, Laszlo J. Kecskes, Suveen N. Mathaudhu, Xidong Hui, Zikui Liu, Anomalous structural dynamics in liquid Al80Cu20: an ab initio molecular dynamics study, Acta Materialia, 2015, 97: 75-85. Williamyi Wang*, Yi Wang, Shunli Shang, Yongjie Hu, Kristopher A. Darling, Laszlo J. Kecskes, Suveen N. Mathaudhu, Xidong Hui, Zikui Liu, Lattice Distortion Induced Anomalous Ferromagnetism and Electronic Structure in FCC Fe and Fe-TM (TM=Cr, Ni, Ta and Zr) alloys, Materials Chemistry and Physics, 2015, 162: 748-756. Williamyi Wang*, Shunli Shang, Yi Wang, Huazhi Fang, Suveen N. Mathaudhu, Xidong Hui, Zikui Liu, Impact of W on the structure evolution and diffusivity of Ni-W metal melts: ab initio molecular dynamics study, Journal of Materials Science, 2015, 50(3): 1071-1081. Williamyi Wang*, Shunli Shang, Yi Wang, Kristopher A. Darling, Laszlo J. Kecskes, Suveen N. Mathaudhu, Xidong Hui, Zikui Liu*, Electronic structure of long periodic stacking orders in Mg: A first-principles study, Journal of Alloys and Compounds, 2014, 586(4): 656-662. Williamyi Wang*, Shunli Shang, Yi Wang, Zhigang Mei, Kristopher A. Darling, Suveen N. Mathaudhu, Xidong Hui, Zikui Liu, Effects of alloying elements on stacking fault energies and electronic structures of binary Mg alloys: A first-principles study, Materials Research Letters, 2014, 2(1): 29-36. Williamyi Wang*, Shunli Shang, Huazhi Fang, Hui Zhang, Yi Wang, Suveen N. Mathaudhu, Xidong Hui, Zikui Liu, Effect of composition on atomic structure, diffusivity and viscosity of liquid Al-Zr alloys, Metallurgical Materials Transaction A, 2012, 43(10): 3417-3480. Yi Wang*, Williamyi Wang, Longqing Chen, Zhikui Liu, Bonding charge density from atomic perturbations, Journal of Computational Chemistry, 2015, 36(13): 1008-1014. Jiajia Han, Williamyi Wang, Cuiping Wang, Xidong Hui, Xingjun Liu*, Zikui Liu, Effect of solute atoms on glass-forming ability of Fe-Y-B alloy: ab initio molecular dynamics study, Acta Materialia, 2014, 72: 96-110. Shikuan. Yang, Brain Kiraly, Williamyi Wang, Shunli Shang, Bingqiang Cao, HaiboZeng, Yanhui Zhao, Weizhou Li, Zikui Liu, Weiping Cai*, Tony Jun Huang*, Fabrication and characterization of beaded SiC quantum rings with anomalous red spectral shift, Advanced Materials, 2012, 24(41): 5598-5603.